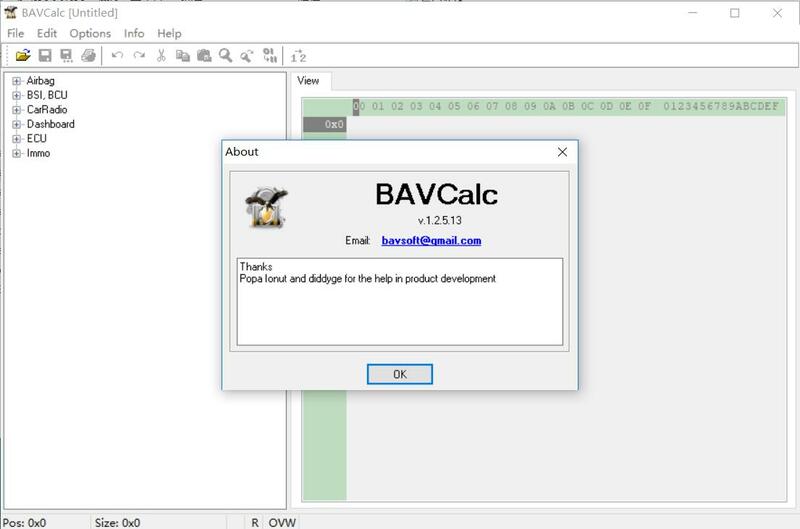 What is Bavcalc V1.2 Software? Bavcalc is a software that you can use it to calculate immo,airbag,car audio,ECU,BSI and BCU. Extract archive keygen to the BavCalc folder, then run BavCalc.exe, press Help menu, Registration where u have HW ID! Then run Bcalckeygen.exe enter ONLY your HW ID without username and mail, click generate! After that run BavCalc.exe again !